Kung Fu Panda 2 on Blu-Ray. Kung Fu Panda 2 on Blu-Ray! I like Mantis and Crane! A Kung Fu Panda 2 DVD. Great giveaway! What surprise does Mr. Hong have for the children in the video? My favorite is Po..he is just so loveable!! He pulls the new Kung Fu Panda 2 DVD/BluRay out of the envelope to surprise the kids. Mr. Ping is everyone’s new favorite! Kung Fu Panda 2 DVD in Blueray. My favorite is Mr. Ping because of his wisdom and voice. Mr. Hong’s surprise was the Kung Fu Panda 2 on Blue-Ray. Kung Fu Panda 2 Blu-Ray available in Dolby true HD. Entry to Kung fu Giveaway! A Kung Fu Panda 2 Blu Ray DVD! His surprise was the Kung Fu Panda 2 Blue Ray and Dolby DVD. A copy of the Kung Fu Panda 2 movie. The surprise is that Kung Fu Panda 2 is out on blu-ray. 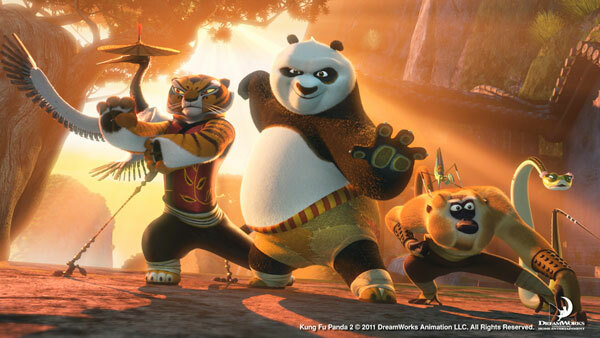 Kung Fu Panda 2 out on blue ray today,,hooray! My favorite is pudgy Po. “What surprise does Mr. Hong have for the children in the video?” Kung Fu Panda in BluRay. Answer to "What surprise does Mr. Hong have for the children in the video?" The surprise is Kung Fu Panda 2 on blu-ray. Kung Fu Panda 2 Blue Ray DVD, of course!!! A Kung Fu Panda 2 DVD Blue Ray Dolby Digital Copy!! I want one!! Gary Oldman as Shen, great voice!